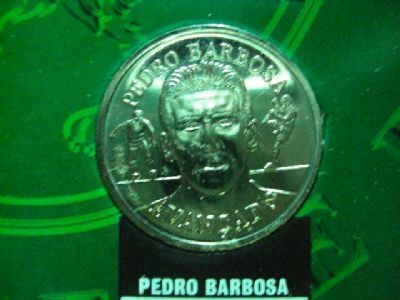 At the time Sainsbury's relaunched football collector coins so the company producing them also sold them in to other clubs and countries. In Portugal Sporting. 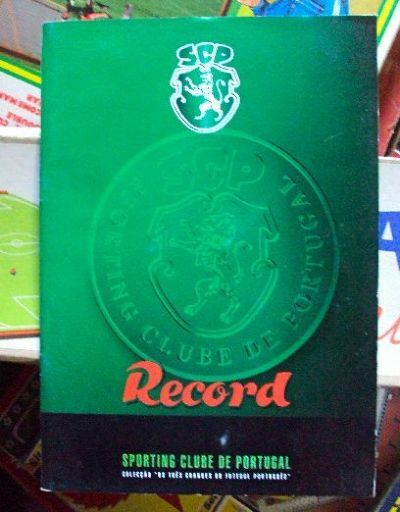 Benfica and Porto all commissioned collector folders and coins. Identical design to the Sainsbury sets. The folder is identical in design and layout to the Sainsbury folders of 1998 onwards. Identical to the Sainsbury coins in design. Silver coloured and highly polished. I guess Record are the distributor or promoter of the coin sets.